Arrested or Charged With a Felony Criminal Offense? When your freedom is at stake, do not take chances with an unproven law firm. 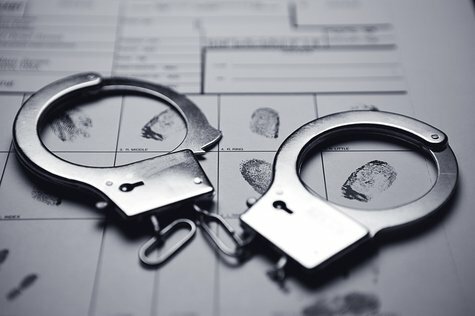 If you have been arrested or charged with committing a felony criminal offense (a crime punishable by a prison sentence of one year or more) in Morgantown, WV or the surrounding area, contact Angotti & Straface Attorneys at Law L.C. immediately so that we can begin to work on your case as soon as possible. There are no statutes of limitations for any felonies committed in West Virginia, and individuals with previous felony convictions are punished severely when convicted of additional felony charges. Most forms of sexual assault, serious and/or repeated assault and battery, and several white collar crimes are also classified as felonies. Our goal is to secure an acquittal of all of the charges that have been made against you. We must gain immediate access to all of the facts, evidence, police reports, witnesses, photos, footage, and other materials related to the case as soon as possible –before they are potentially contaminated. Contact our law office as soon as you are arrested or become aware that a felony charge may be filed against you. Should I Plead Guilty or Accept a Plea Bargain? Time is essential, and we want to prepare the best possible defense for you, answer all of your questions, and keep you fully informed regarding the realistic scope of the situation that you are facing so that you can make the best possible decisions. If your case is particularly complex or the charges are of a serious nature, we will advise you of all of your options. When appropriate, we work very hard to limit the charges made against you by considering the implications of pleading guilty to a lesser charge, as well as decreasing any sentencing or punishment imposed by evaluating available plea bargains. We will keep you fully informed at all times and follow your instructions. Angotti & Straface are fully prepared to aggressively defend your innocence at trial to secure justice on your behalf. If your case proceeded to trial and your case was ruled inaccurately, we will appeal the decision on your behalf. From the time that we accept your case, we maintain meticulous records in full anticipation of taking your case to trial and filing any appeals necessary to help you fight the felony charges that you are facing. During your appeal, we will address any errors or mistakes committed during your trial, present any new, undiscovered evidence, determine if there are grounds for a mistrial, investigate any flawed jury instruction provided by the judge, and expose abuse during the discovery process, procedural or factual errors, and juror misconduct, as applicable. The attorneys and full-time research and administrative staff of Angotti & Straface are here to serve the accused. We offer our experience to give you the best possible chance to defend yourself by obtaining a fair trial. You will receive a full professional examination of the strength of the evidence against you and the circumstances involved, in light of previous legal precedent and law as applicable. Contact our law office for a free initial confidential consultation to discuss your case: (304) 292-4381. If you are currently incarcerated, your representative may contact us to request that we come to you to discuss your defense strategy.